I came across this in a toilet in Manchester, UK. It was stuck on the lid of the toilet bowl. That’s my shadow there. Haha. The cubicle was just too narrow to avoid that. 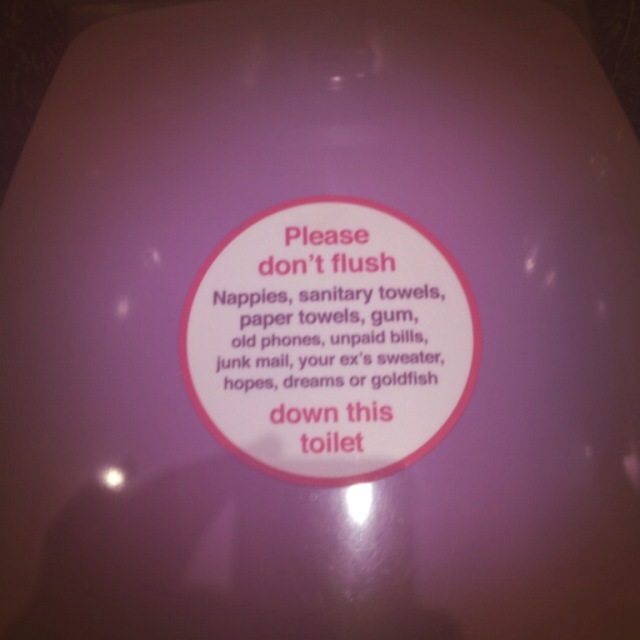 That’s a fine English toilet humour there! Lol!